As an undergraduate at the University of Michigan, Fayrouz Saad was doing a survey of immigrants to ask them about their experience in the U.S. She decided to interview her mom, who immigrated to the U.S. from Lebanon. 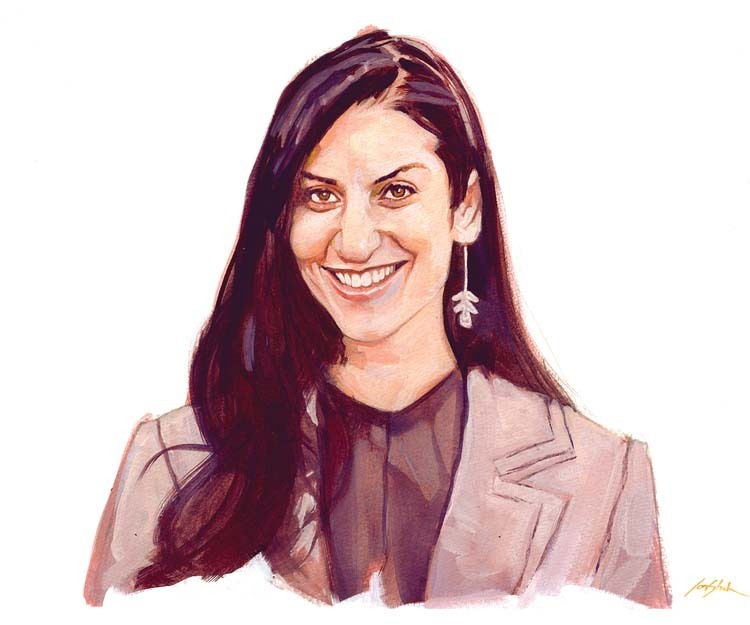 Growing up the daughter of immigrants in Dearborn, Saad is the city of Detroit’s first Immigrant Affairs director, and the 32-year-old hopes to help other immigrants achieve the American dream the way her parents did. 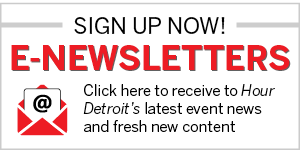 What will you do as Detroit’s first Immigrant Affairs director? There are three large goals as I see them. One is to work with existing immigrant communities to build those bridges and develop those relationships and to connect them better to the city and city resources. The second is to work with new immigrant communities and bring in new immigrant communities to the city … programs like refugee resettlement or immigrant visa programs.â€……â€…The final is to work with both new and existing communities and just helping them integrate better into the city. The key word is integration, not assimilation. Following the November terror attacks in Paris, Gov. Rick Snyder gained national attention when he put on hold his promise to welcome Syrian refugees to Michigan. Mayor Mike Duggan, however, has stood firm in his commitment to welcoming Syrian refugees. How do you expect this will play out? I can’t necessarily speak to Gov. Snyder … but Mayor Duggan’s leadership really allows us to continue to move forward. From what we’ve heard … the Obama administration has reaffirmed its commitment …â€…for refugee resettlement and bringing refugees from all over the world, including Iraq and Syria. And that’s been the mayor’s message, too. … What we’ve been told from the federal government is that governors don’t have the legal authority to stop the refugee flow or the immigrant flow. For us, that means just to continue to do what we’ve been working on. How many Syrian refugees will be resettled in Detroit, and when and where? A lot of those answers are still unknown, even from the State Department. They are still kind of deploying teams to do security clearances.â€……â€…We probably won’t see a majority of them come until the second half of (this) year. It’ll be refugees from everywhere. So we’re not specifically putting a plan together just for Syrians or just for this group or that group. It will be more so a strategy for all refugees.â€……â€…The mayor has said he’d like at least 50 refugee families to be resettled within the city of Detroit in the next 1-3 years, so 50 families a year. How are refugees vetted before entering the United States? Refugees face probably one of if not the most rigorous screening processes before entering into this country. … The gist of it is that the refugees are screened more heavily than any other person coming into the U.S. through some sort of immigrant program or visa program. On top of that, Syrian refugees are even more heavily screened. It takes an average Syrian refugee 18 to 24 months before they are granted admission to the U.S. and that is only after they’ve gone through the UNHCR (the UN refugee agency) process and they’ve been sitting in a refugee camp or wherever it might be. It’s really years. What do you say to critics who argue immigrants take jobs that U.S. citizens otherwise would have filled? The facts speak for themselves. Immigrants are very entrepreneurial. Twenty-eight percent of small businesses in the U.S. are owned by immigrants or started by immigrants. Furthermore, immigrants don’t take away from the community; they really give back. It feels like we’re at a historic moment, with a growing anti-immigrant sentiment in the United States and abroad. Background: First-generation Arab-American. Parents arrived from Lebanon in the 1970s. Father has owned Saad Wholesale Meats in Eastern Market for nearly 40 years. Education: Master’s degree in public administration from the John F. Kennedy School of Government at Harvard University.